edmonton, ab (travel tuesday) | .liveit.loveit.blogit. Usually Travel Tuesdays take you to some exotic place. Not this time friends… This time it takes you to Edmonton, Alberta, Canada. 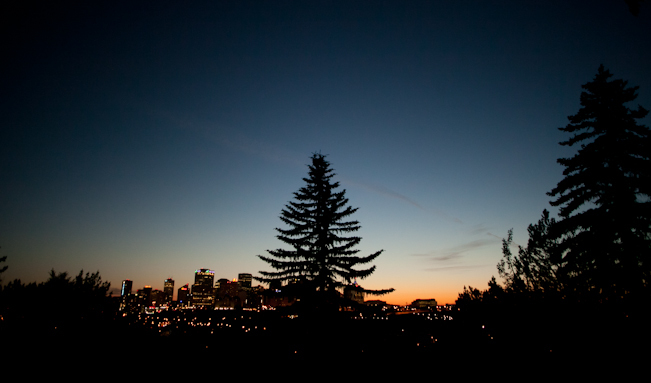 Edmonton often gets a bad rap, but it’s actually got a very pretty river valley and downtown. And it’s where I’m from, and where I’m spending a few summer days soaking up the sun (and that sweet Vitamin D), spending time at the cabin with my family, and working from my parents’ beautiful home. And nothing beats a prairie sunset. Especially when you get this kind of light… at 11:20pm.